Create Multiple Streams of Income to BeHappy! 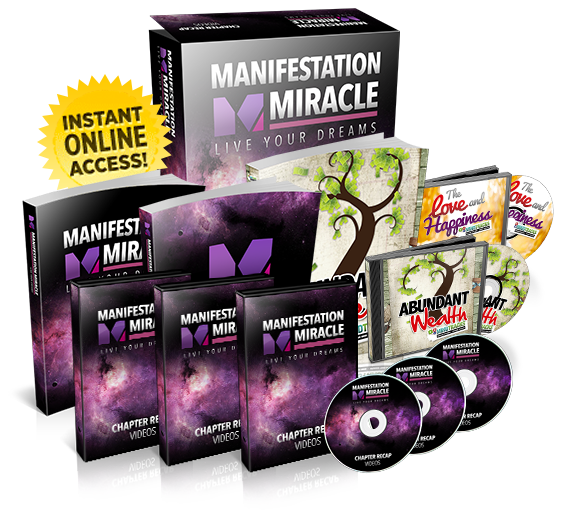 Are you making the kind of money you need to be as happy as you can possibly imagine? Do you have a job you love that pays you a high salary and provides you security, fulfillment and balance? Were you prepared for the recent economic downturn and will you be prepared for the next one? If you answered yes to these three questions, you are very fortunate. Most people cannot answer yes to any of those questions, much less all three. 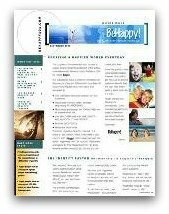 Since the goal of this website, www.behappy101.com, is to make us all as happy as possible, we must explore financial issues like these since one component of happiness can relate to the degree of financial security, abundance, or freedom we want or need in our lives to be happy. As stated in my quote above, I believe the key to achieving that financial abundance in life - and simultaneously being as happy as possible - is by developing and maintaining a strategy which provides multiple streams of income. This means breaking away from the traditional work/career model of having a job where you spend the majority of every day, week, month, and year (year-in and year-out) doing something that pays you a “fee” for every hour of service you provide or each unit of productivity you generate. While this might be one component of your income model, it should not be the only component. If you offer a specific service, for example, and that service suddenly becomes obsolete, what happens to your business? Or, a more likely scenario, what if you lose your biggest client or a couple of big clients at the same time? Or what about if you lost your job? Sure, eventually you'll find other clients or another job to make up the difference (maybe), but what happens in the meantime? What if it takes several months or longer? Your bills certainly won't wait that long. But if you have other income streams at the same time, a dip in your main income is no longer so scary or impactful because you'll still have money coming in. So Multiple Streams of Income means just what it says. 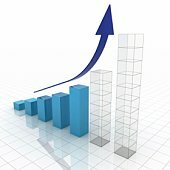 That is, it’s a strategy whereby you derive income from several sources (again, one of them may be a traditional "job"), ideally with some of the sources being in different industry groups or business segments, and as many as possible (but at least one) being in an area of great passion for you. Let’s say, for example, you are a mortgage broker and this is what you do “for a living”. This is your job and it’s where you derive 100% of your income. What happens when (not if) an economic cycle comes around that is very unfavorable for the housing and mortgage industry (like it did in 2008)? It can make life very difficult and stressful (and make you very unhappy). It’s like having your entire net worth invested in one stock. What happens if that company’s stock plummets? It’s not pretty! And most would agree it’s not a very smart strategy. So, what were talking about here (at least partly) is creating diversity in your income, just as you would create diversity in your investment portfolio. If one or two of your income streams gets reduced or even eliminated for some reason (like you lose your job because of a layoff at your company) then you have other income sources to maintain your lifestyle – or at least pay the bills. There is much more about creating passive and residual income in previous and future issues of The BeHappy! Newsletter, so if you are not yet a subscriber, fill in the information in the boxes to the right to start your FREE subscription. It's a $150 annual value. So subscribe now. Another component of the multiple income stream concept relates more to happiness than wealth. Let’s use the mortgage broker example I used before. Mortgage brokerage is your job and provides a good source of income. But let’s say it’s really just a job, and although you like it for what it’s worth you’re not really passionate about it (in other words, you wouldn’t do it if it didn’t pay anything). And let’s also say that you are very passionate about writing. The multiple income stream concept would say that you should write a book, or create an internet information business – using your talent and passion for writing - to create income and more enjoyment or fulfillment in your life. Both of these income streams (a book and an internet site) could also fit the description of “passive” income since you can make money 24 hours a day, 7 days a week, 365 days a year from these kinds of businesses. This is one of the other requirements of the multiple streams of income concept – that is to make sure some of the income streams are passive. I hope you get the idea of what’s involved here. If so – and if you don’t already have several sources of regularly occurring income – both active and passive - then you need to have a plan to do so, and take action to make it happen. The more income streams you have, the less difficult it will be to lose one. Things happen in life that are challenging. Industries change. Economies change. People want different things. So, establish several income streams that minimize risk, maximize revenue, and produce “happiness”. First, figure out something you’re good at and/or are passionate about. Perhaps you have a knack for drawing, or maybe you know how to cook very well. Maybe you are an excellent writer or enjoy networking with people. Almost any strong trait you have can lead directly to some sort of profit-making venture that you can do in your spare time (at least at first). Spend some time figuring out your talent, then think about how that could make money. Once you’ve got something figured out, commit some regular time to it. Give up an hour of television each day to bake bread or matte finish photographs, then find places to sell them. Once you get out the kinks out of your little business, it can become a steady source of income for you - another income stream. Then, use that income stream for something financially positive. Don’t spend it immediately. Instead, contribute that money to debt repayment or use it to invest in something – stocks, real estate, or an investment in another business. The real goal here is financial independence and personal fulfillment at the same time. By making yourself less dependent on a specific revenue stream (for example, your primary job), you’re giving yourself the independence and flexibility to make choices you never had before.